But the packaging and extras look pretty cool otherwise. 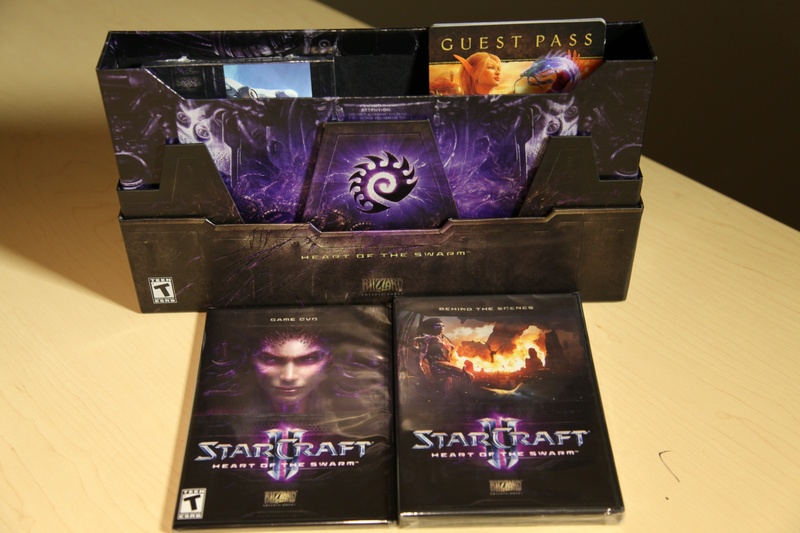 Say what you want about Blizzard, they produce some pretty high-quality Collector's Editions. I've been the proud owner of many a World of Warcraft CE over the years, and always look forward to how the boxes will appear on my shelf. 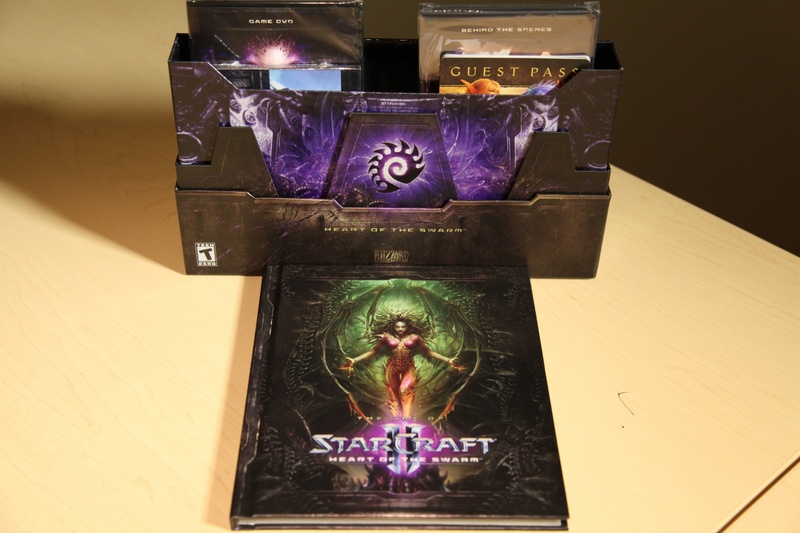 The Collector's Edition for the second installation of StarCraft II, dubbed Heart of the Swarm because of how it deals with the insectlike alien Zerg, is no different. Heart of the Swarm opens its servers on March 12th. 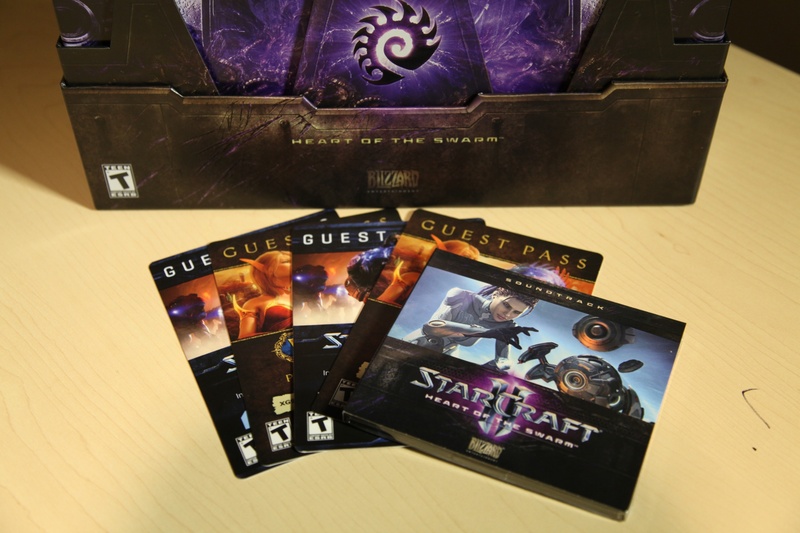 Heart of the Swarm Game DVD (duh!) with a unique Authentication Key if you want to DL the game early. Soundtrack CD with 11 kicking tracks to make love to your Queen of Blades to! Behind the Scenes DVD (plus a Blu-Ray, nice!) with interviews from all the game's developers. I haven't watched this one yet, but Blizzard's other videos have all been top-notch productions that offer anecdotes about the development you can't hear anywhere else. Hardcover book of concept art from the game, peppered with quotes from the characters. Includes a humorous introduction from Blizzard's Lead Artist Samwise Didier on how the team comes up with new Zerg units. Mouse pad. This one's not as iconic as the WoW mouse pads of yore, but I'll probably still use it. Digital items! When you use the authentication key you'll get access to specific portraits and cosmetic goodies in SC2 multiplayer, a baneling minipet in Wow (can't wait to try that out in the minipet battle system), and cosmetic blade wings in Diablo III. [li]Guest passes to StarCraft II and WoW to give to your friends. Not sure how these will work, but I bet it will give limited access to the games for free. What's missing? 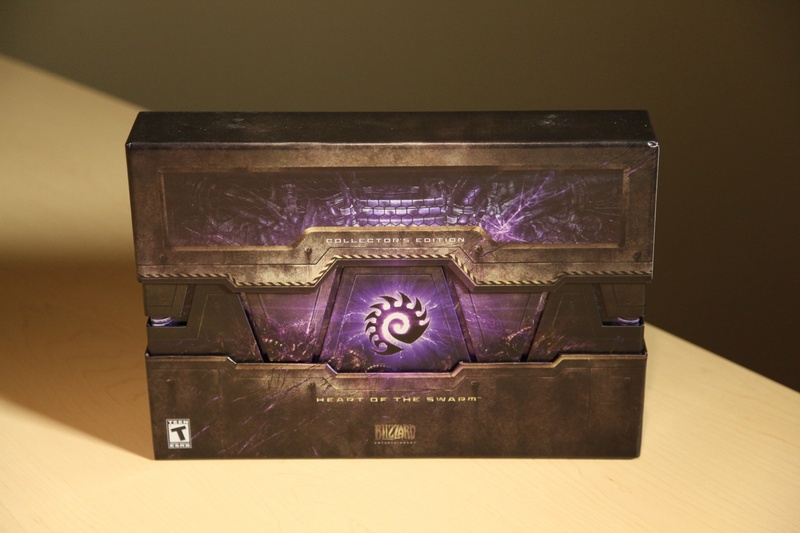 Well, perhaps I'm biased, but I would have loved a feelie Zergling popping out of the box? Perhaps some purple goo Zerg "creep" sticking to all the items? It'd be gross, but cool. In any case, I'm looking forward to spooling up Heart of the Swarm when the servers open next Tuesday. Hey, do you think I'll be able to play this "always-on" online game?